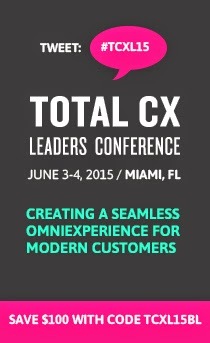 This week we’ll be discussing a recent customer experience report published by the Temkin Group. The top five customer experience firms this year according the report were Publix, Trader Joes, Aldi, Chick-fil-A, Sam’s Club and Amazon (tied for 5). 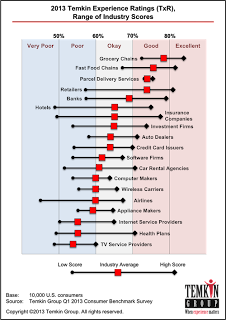 It’s interesting to note that not only did Grocery store chains take spots one, two, and three, but as a whole the grocery industry was rated the highest and scored well above the rest. There are definitely lessons to be learned in customer experience from grocery chains. On the other end of the spectrum, according to the Temkin Group, the worst customer experience in America can be found at US Airways who were given a measly 46% in the report (compared to 84% at Publix). 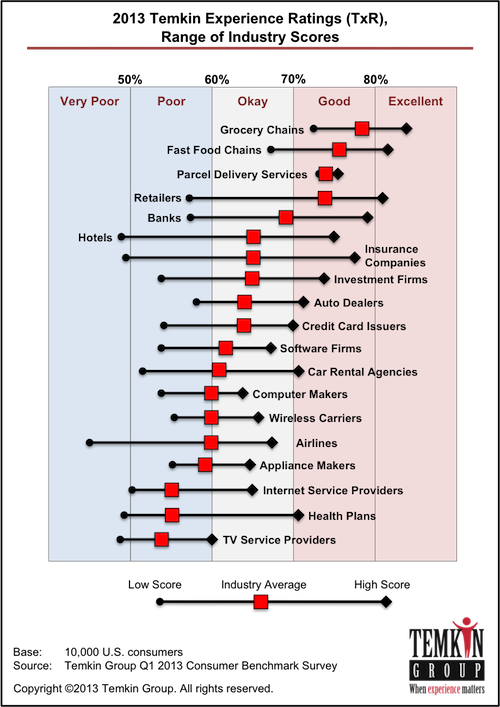 The Airline industry as a whole scored very poorly, not a big surprise considering a recent study ranked Airlines more hated by consumers then the IRS. Other low ranking industrie4s include TV/Internet Service providers and Health Plans. Notable variance occurred in the Hotel industry where the leader, Mariott, scored a 75% while the worst hotel for customer experience, Days Inn, scored a paltry 48%. Significant variance was also reported in the Insurance industry where consumers ranked USAA an impressive 77% but scored 21st century at just 49%. The report as a whole gives a great look at customer experience trends and how companies are universally putting a greater emphasis on their customer’s experiences. According to the Temkin Group the number of companies with at least a “good” rating increased has increased 9% in the last year, and 21% in the last two years, and 57% of firms had at least a modest increase. Where would your company be on this list?